This disinformation and propaganda on Syria takes three distinct forms. The first is the demonization of the Syrian leadership. The second is the romanticization of the opposition. The third form involves attacking anyone questioning the preceding characterizations. There is a recent article which exemplifies all three of these forms. It is titled “Anti-Imperialism and the Syrian Revolution” by Ashley Smith of the International Socialist Organization (ISO). It’s a remarkable piece of misinformation and faulty analysis. Because it is clear and well written, it is likely to mislead people who are not well informed on the facts regarding Syria. Hence the importance of critically reviewing it. Smith starts off posing the question: Are you with the Syrian revolution or the brutal Assad dictatorship? The way he frames it, it’s not a difficult choice: viva la revolution! But Smith’s article is a tale devoid of reality. His bias is shown as he criticizes the Left for ignoring “Assad’s massacre of some 400,000 Syrians.” That framing, which is common in the Western mainstream media, blames all the deaths in the Syrian conflict on President Bashar al-Assad, including the 100,000 to 150,000 Syrian soldiers and allies. In other words, Smith deems Assad responsible for everything, including the killing of Syrian soldiers by the armed opposition. This opposition, which is financed and armed by Saudi Arabia, Qatar, Turkey and the U.S., includes extreme jihadist groups, including Al Qaeda’s longtime affiliate and the Islamic State. Yet, none of the leaders supplying these rebels – in defiance of international law – bears any blame for the death and devastation of Syria, according to Smith’s construct. Later on, Seymour Hersh wrote two lengthy investigative articles pointing to Jabhat al Nusra, Al Qaeda’s affiliate, with Turkish support being culpable. Investigative journalist Robert Parry exposed the Human Rights Watch analysis blaming the Syrian government as a “junk heap of bad evidence,” which was disproved when aeronautical experts concluded that the one rocket found to carry sarin had a much shorter range than the HRW analysis required. 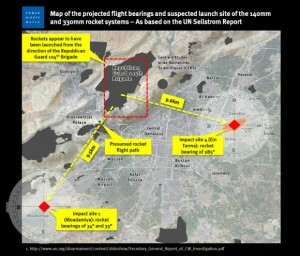 The controversial map developed by Human Rights Watch and embraced by the New York Times, supposedly showing the flight paths of two missiles from the Aug. 21, 2013 sarin attack intersecting at a Syrian military base. But aeronautical experts later concluded that the only rocket found to carry sarin (on the right side of the map) had a much shorter range. So, why does Ashley Smith assert the Syrian government’s guilt as flat fact when the evidence seems to go in a very different direction? 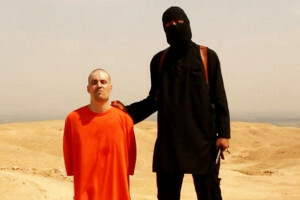 Smith also accuses the Syrian government of widespread torture. His main example is the case of Syrian Canadian Maher Arar who was arrested by U.S. authorities in collusion with Canadian officials, then “rendered” to Syria for interrogation in 2002. Arar was beaten during the initial weeks of his interrogation in Syria. After ten-months imprisonment, Syrian authorities determined he was not a terrorist and sent him back to Canada, where he received an official apology and $10 million from the Canadian government. The Arar case is clearly one where several governments deserve criticism, including Syria, Canada and the United States, which at the time was conducting its own torture program against other alleged terrorists. Yet, Syria is the only country that has been singled out for violent retribution. Smith is not advocating invasions of the United States and Canada for their roles in the abuse of Arar. Other cases implicating Syria are more complicated. The most highly publicized accusations about torture come from a person known as “Caesar,” who has been presented to the public as a defecting Syrian photographer who had 55,000 photos documenting 11,000 Syrians tortured by the Assad regime. Given the Western mainstream media’s overwhelming hostility toward the Syrian government, only the Christian Science Monitor was skeptical about the “Caesar” presentation, describing it as “a well timed propaganda exercise.” In the past year, it has been discovered that nearly half the photos show the opposite of what is claimed. The Caesar story is essentially a fraud funded by Qatar with “for hire” lawyers giving it a professional veneer and massive mainstream media promotion. While Western media routinely refers to Assad as a dictator, he was actually elected and remains popular with the majority of Syrians, many of whom fear the consequences of his potential overthrow by radical jihadists. Many Syrians also long for the restoration of order after five years of violent rebellion largely funded and supplied by outsiders. Although not wealthy, Syria was largely self-sufficient with a semi-socialist state apparatus including free health-care, free education and large industries 51 percent owned by the state. 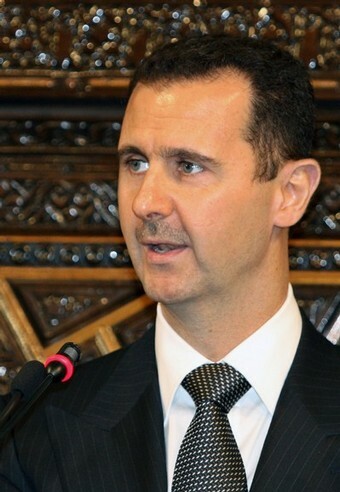 In response to legitimate demands from the initial political protests, the Assad government pushed through reforms which ended the one-party system. There are now political parties across the political spectrum, including a genuine “moderate opposition.” A June 2014 election confirmed Assad’s popularity despite the insistence of the outside-backed rebels – and the Western mainstream media – that the balloting was a sham. Ashley Smith echoes mainstream media which portrays the conflict as a “civil war” which began with peaceful democracy-loving Syrian revolutionaries who were ruthlessly repressed by a brutal regime. In reality, there was a violent faction from the start. In the first protests in Deraa, seven police were killed. Two weeks later there was amassacre of 60 security forces in Deraa. In the first two months, hundreds of police and security forces were killed. Yet, Smith, like the West’s mainstream media, ignores this reality because it clashes with the desired image of white-hatted protesters being victimized by a black-hatted government. A more realistic picture is given by a Syrian who still lives in Aleppo. He writes under the name “Edward Dark” and describes how he and his friends quickly regretted the take-over of Aleppo by armed groups in summer 2012. Edward Dark incidentally is a harsh critic of President Assad and the Baath Party. He was also naive regarding the role of U.S. Ambassador Robert Ford in stirring up the conflict. But Dark’s description of early protesters and the arrival of an armed opposition rings true and is more authentic than the portrayals from Yassin-Kassab and Al Shami. Many of the idealized “Syrian revolutionaries”promoted by the authors of “Burning Country” are trained and paid agents of the U.S. and U.K. The Aleppo Media Center, which produces many of the videos, is a U.S. creation. The White Helmets, which purport to be Syrian, independent and unarmed first responders, is another creation of the U.S. and U.K. The banner boys from Kafranbel are another Western-funded operation. In her memoir about her time as Secretary of State, Hillary Clinton boasts of providing “training for more than a thousand activists, students, and independent journalists” (p. 464). Ashley Smith does not criticize NATO and the Gulf states that are violating international law and the U.N. charter by funding and supplying a proxy army to attack Syria. Instead, he criticizes groups on the Left who oppose this aggression. That is a sign of how far off track the International Socialist Organization and similar pro-regime-change groups on the Left are. They took similar positions regarding the West’s violent “regime change” in Libya and have evidently learned nothing from that disaster. 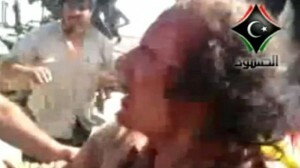 Ashley Smith might want to tour Libya and savor the “revolution” that hepromoted there. Smith’s theme with respect to Syria (that it was a simple case of a peaceful and popular uprising against a brutal dictator) is the same narrative promoted by neoconservatives and the mainstream media. Like the neocons and the MSM, Smith also smears progressives who question the U.S. government’s storyline, who believe the Syrian people – not outsiders – should decide if “Assad must go” and who think a negotiated peace, followed by elections, is the best recipe for the shattered nation. Yet, Smith criticizes the British Stop the War coalition for having “adapted to Assad supporters” and for “giving a platform to allies of the dictatorship,” specifically “regime apologist Mother Superior Agnes Mariam.” It seems that anyone who presents evidence that contradicts the West’s official narrative is immediately dismissed as an “apologist” and apparently isn’t even supposed to be allowed to speak. Smith is also misinformed about who was responsible for Mother Agnes’s appearance in London. The Palestinian-Lebanese nun who has lived in Syria for more than 20 years was hosted on the tour by Syria Solidarity Movement and was then invited to speak at a Stop the War rally. To his great discredit, the keynote speaker Jeremy Scahill, who is closely aligned with ISO, threatened to withdraw from the conference if Mother Agnes spoke. Scahill has done great journalistic work exposing Blackwater and Drone Warfare, but that does not excuse his complicity leading to blackmail regarding a woman who has shown immense courage in promoting reconciliation and peace in Syria. But that action is typical of some misguided “socialist” groups as well as the Muslim Brotherhood and their allies. Mother Agnes was verbally attacked and abused by these groups throughout her tour, which otherwise met with great success. She consistently says that Syria needs reform, but you don’t achieve reform by destroying the country. Ashley Smith goes on to criticize the U.S. Peace Council for recently sending a delegation to Syria and having the audacity to talk with “Assad and his henchmen.” In this regard, Smith sounds like the right-wing hawks who denounced Jane Fonda for going to North Vietnam in the 1970s. With his dogmatic and closed-minded view, one has to wonder what kind of “international socialism” does he represent? Smith also criticizes Green Party candidates Jill Stein and Ajamu Baraka for “remaining silent about Putin’s and Assad’s atrocities.” This is another measure of how far off track the ISO is. They evidently are not aware of international law or they don’t care about it. The Assad government has a right to defend itself against terrorist attacks which are sponsored, funded and supplied by foreign governments. Syria also has a right to request help from Russia and Iran. But with tunnel-vision dogma, Ashley Smith and ISO do not care. They seem to be supporting, instead of opposing, imperialist aggression, violations of international law, and the death and destruction that these actions have caused. Smith disparages the Syrian government and people who have continued to fight against the forces of sectarianism promoted by NATO, Israel and the Gulf monarchies. Smith and ISO would do well to send some people to see the reality of Syria. They would find it very different than their fevered imagination or what they have been led to believe by fake Syrians and Muslim Brotherhood dogmatists. Genuine progressives are not “Assad supporters,” but are opponents of imperialist aggression and supporters of international law, which says it’s the right of Syrians to determine who leads them. That would mean real Syrians, not those raised in or paid by the West. 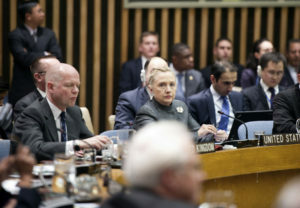 But that U.S. claim is more window-dressing than reality, just as the United States insisted that its goal in Libya in 2011 was simply to protect innocent civilians in the country’s east, not “regime change.” However, once the Obama administration got the U.N. Security Council’s permission to provide that protection, the veil was dropped and a massive bombing campaign was directed against Libya’s military with the clear objective of “regime change,” which was achieved with Muammar Gaddafi’s capture, torture and murder. Secretary Clinton selected Robert Ford to become U.S. Ambassador to Syria after he had served as the chief political officer in Iraq for Ambassador John Negroponte. And, who was John Negroponte? In the 1980s, he was Ambassador to Honduras overseeing the Nicaraguan Contras and El Salvador death squads. Negroponte’s arrival in Iraq in 2004 led to the so-called “El Salvador option,” i.e., the unleashing of sectarian death squads in Iraq. Since the conflict in Syria began in 2011, the U.S. has spent many billions of dollars trying to overthrow the Syrian government or force it to change policies. The supply of sophisticated and deadly weaponry to the rebels continues. In April 2016, it was reported that the U.S. recently supplied 994 TONS of sophisticated rocket launchers, anti-tank and other heavy weapons to “moderate rebels” who ally with Syria’s Al Qaeda affiliate (Jabhat al Nusra recently renamed Jabhat Fatah al Sham). This is more theory without evidence. The U.S. coalition was doing little to stop ISIS until the group began chopping off the heads of Western hostages in the summer of 2014. Even then, the U.S. coalition offered no help to the Syrian military when ISIS crossed the open desert to attack and occupy Palmyra. The coalition similarly looked the other way as ISIS daily sent hundreds of trucks filled with oil from eastern Syria into Turkey. It was not until Russia entered the scene in support of Syria one year ago, that the U.S. coalition got embarrassed into actually attacking ISIS in a meaningful way. As to a “de facto alliance,” that is what Russia has implored the U.S. to do, largely without response. In the past two weeks, the U.S. has warned Russian and Syrian planes not to attack U.S. ground forces inside Syria and refused to come to an agreement with Russia that “moderate rebels” working with acknowledged terrorists are not “moderate” and should be targeted. In effect, the Obama administration is trying to prevent the collapse of its “regime change” project by stalling and delay. Perhaps, the goal is to keep the project alive for a more aggressive U.S. policy under President Hillary Clinton, who continues to talk about a “no fly zone” and a “safe zone,” code words for a direct U.S. military invasion of Syria. Ashley Smith claims that much of the U.S. Left has been avidly supporting “oppressive regimes” such as Syria and Iran and mocks those on the Left who suggested the Iranian “green movement” was U.S.-influenced. His mockery is exposed as ignorance by none other than Hillary Clinton herself. In her book, Hard Choices, Clinton recounts how the State Department arranged for Twitter to postpone a system upgrade which would have taken the social media giant offline at a critical time, right after the 2009 Iranian election. 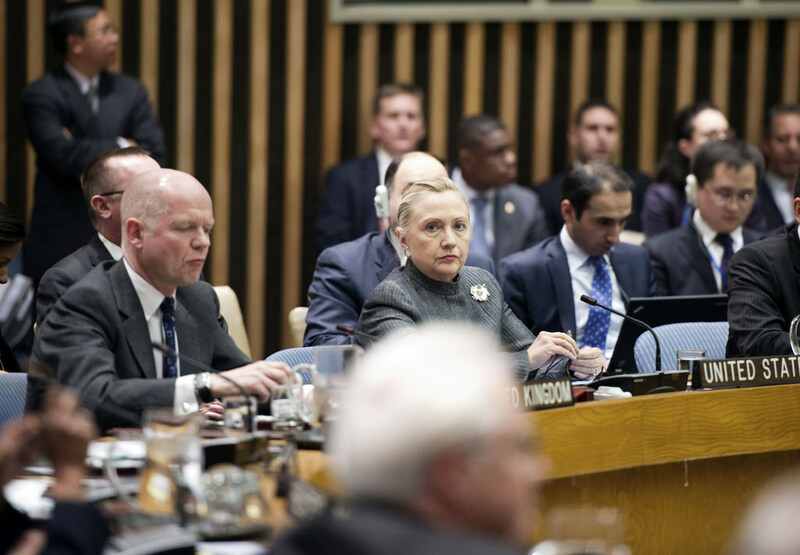 Clinton and her team were actively promoting the protests in Iran. Some Middle East analysts have made the faulty analysis that Israel is not involved in the aggression against Syria. In reality, Israeli interests are at the core of the U.S. policy against Syria. Israeli Ambassador to the U.S. Michael Oren was explicit: “The initial message about the Syrian issue was that we always wanted Bashar Assad to go.” He also said “bad guys supported by Iran” are worse than “bad guys not supported by Iran.” In other words, Israel preferred chaos and Al Qaeda to a stable independent Syria. Saudi Arabia is the other key U.S. ally seeking to overthrow the Syrian government. With its close connections to the oil industry, the military industrial complex and Wall Street, Saudi Arabia has enormous influence in Washington. It has been mercilessly bombing Yemen for the last 18 months and continues funding andpromoting the proxy war against Syria with no noticeable objection from Washington. Both Saudi Arabia and Israel seek the same thing: breaking the resistance alliance which runs from Iran through Syria to Lebanon. They are in alliance with U.S. neoconservatives who still dream of “a new American Century” in which the U.S. fights multiple wars to enforce its “exceptional” and sole supremacy. This strategy systematically violates international law, as it does in fueling the war against Syria. Though the tide has been turning against the “regime change” forces in Syria, they have not given up and may even escalate. That possibility is enhanced by propagandistic accounts such as the one by Ashley Smith.